I thought I'd post it on here as some people will appreciate it. Reminds me of an article which was done a year or so back in HPI? 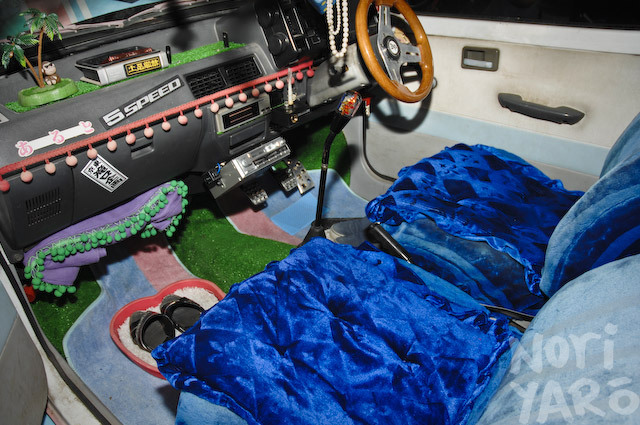 If you’re a fan of Option videos, you may have noticed that whenever they feature a bosozoku-style car, like in the Go Go Daijiro segments, there’s always this one guy named Daisuke who keeps showing up with one or two of the cars. After a relatively difficult time tracking down his workshop (I eventually found an ad of his in a slightly obscure magazine and called the number) I took a drive out to visit it. This is the view from the long, narrow driveway leading up to his yard. 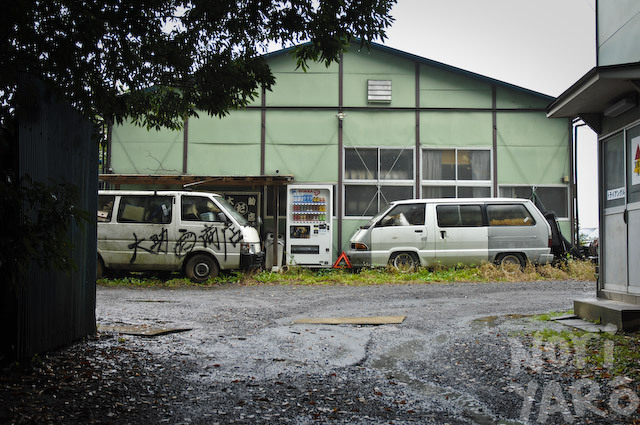 The spraypainted characters on that busted old Nissan say “Daisuke Shouten”, which means “Daisuke’s Shop”. 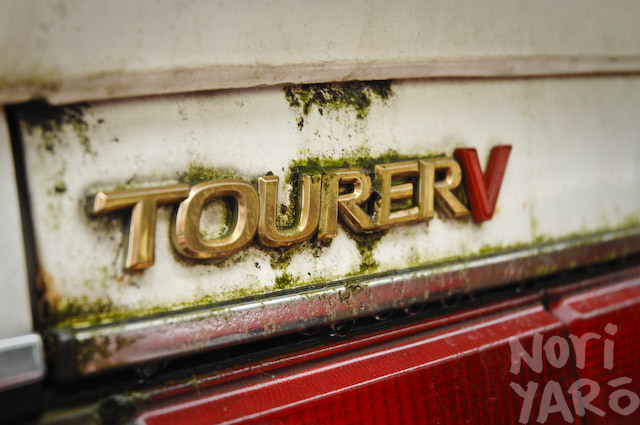 Obviously, if you’re meant to know where this place is, you’ll already know. 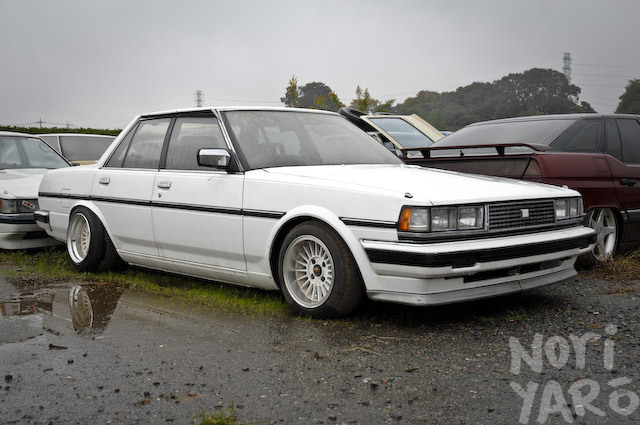 This Y30 Gloria belongs to one of Daisuke’s employees, Masa. The kanji characters on the chin spoiler says “Sendai”, which is Masa’s home town. If you’re wondering what the thing on the left it, it’s an ashtray. 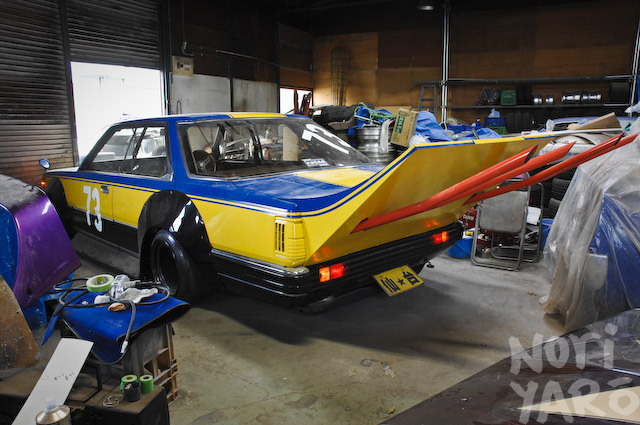 Believe it or not, this car does actually get driven to the occasional carpark meeting. Just hope that nobody steps out in front of him. 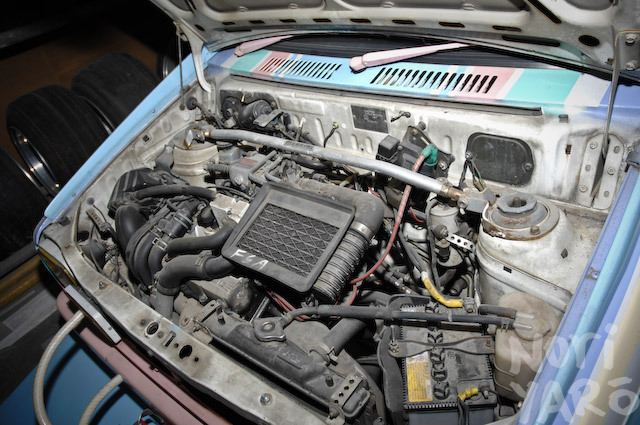 The extended front bonnet is metal sheet welded to the original bonnet, held in place by a frame of thin round bar. 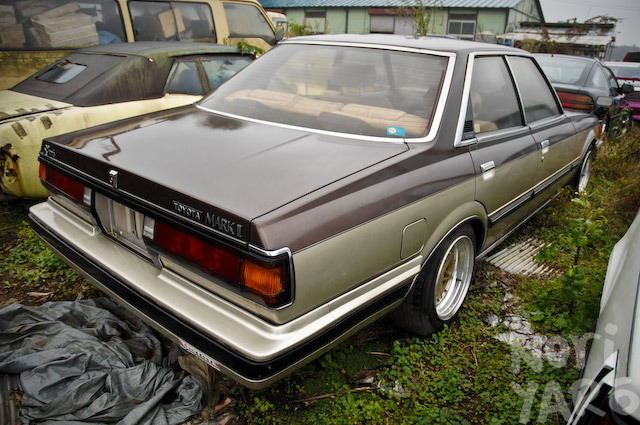 This Cresta Super Lucent is what VIP-style used to look like. It could be convincing…from a long way away…at night. It still looks cool for a Corona though. 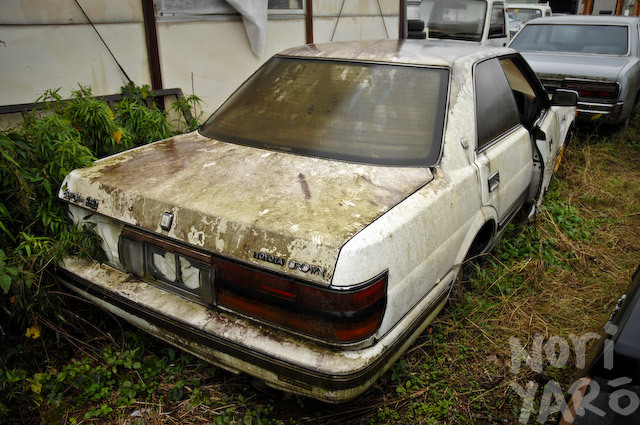 Massively over-fendered Nissan Laurel. 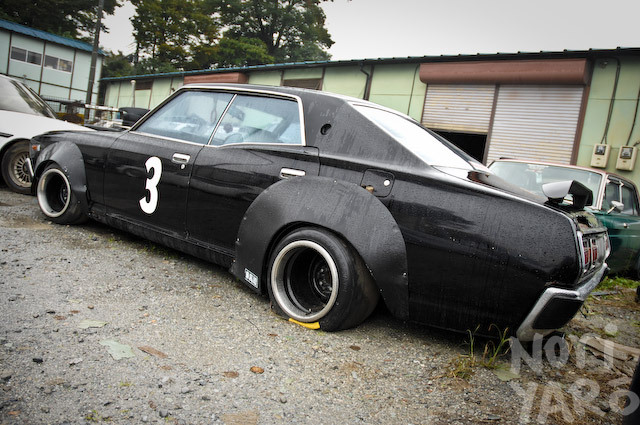 This would make a nice daily driver, but perhaps not on a rainy day, considering it’s on race slicks. 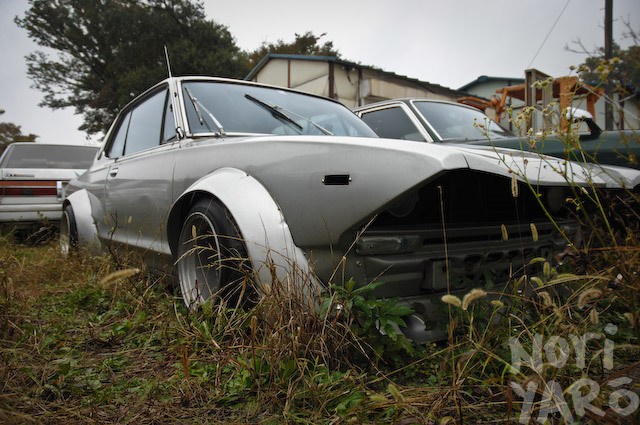 Sharknose Hakosuka literally dumped in the weeds. It’s not a real GT-R though, so don’t worry. Once again, the humble Corona shows how good it can look with a simple lowering job and set of Mark IIs. 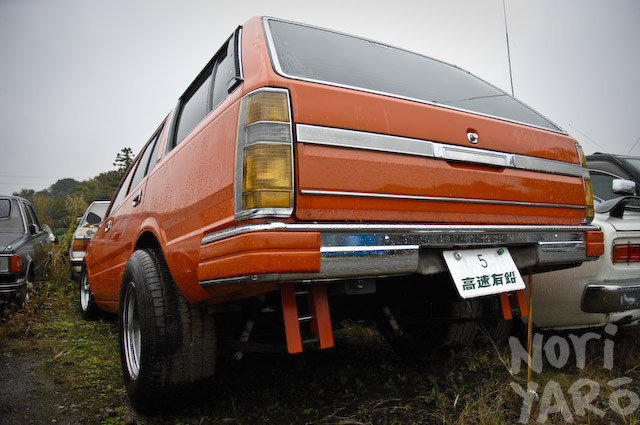 In case you’re wondering about the title of this article, it’s what’s written in Japanese on that little red sticker on the boot lid (or trunk lid for American readers), and is Daisuke’s trademark phrase. 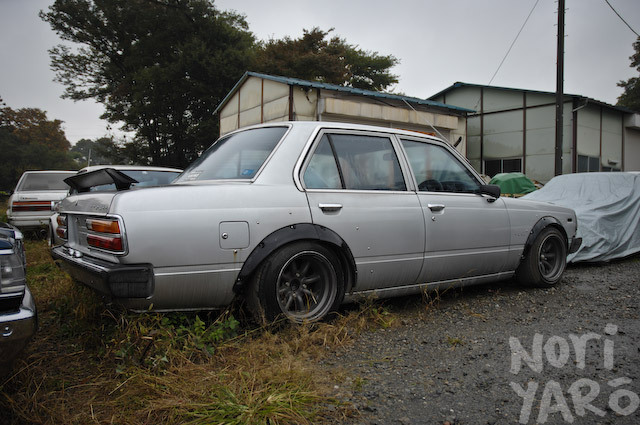 Alongside the modified cars in Daisuke’s yard are plenty of fresh base cars like this Mark II. All you have to do is turn up to his yard with a handful of cash, and he’ll turn anything you like into whatever you like. 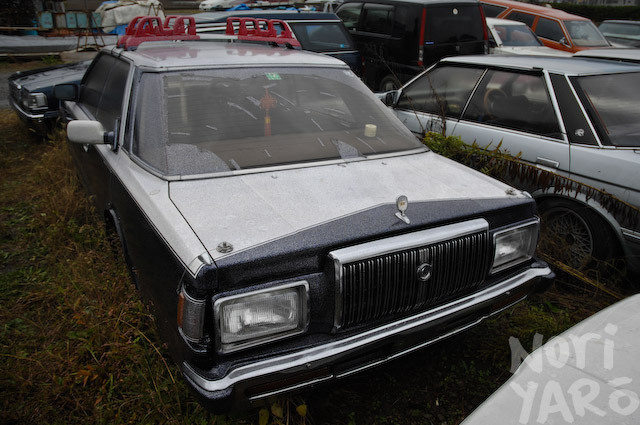 Sinister-looking Gloria with Suzuki Escudo steel wheels. 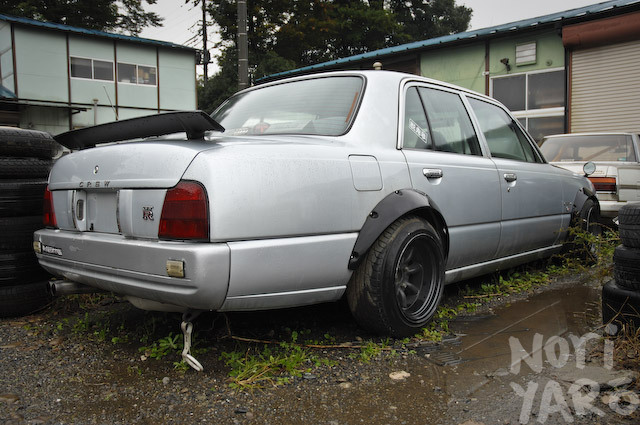 I bet most JDM fans would take this Cresta just the way it is. 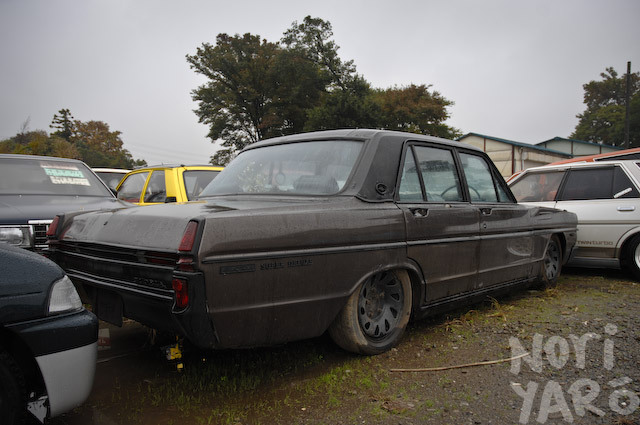 Drag wagons are a popular subculture here in Japan, with the Nissan Cedric being one of the more popular choices. 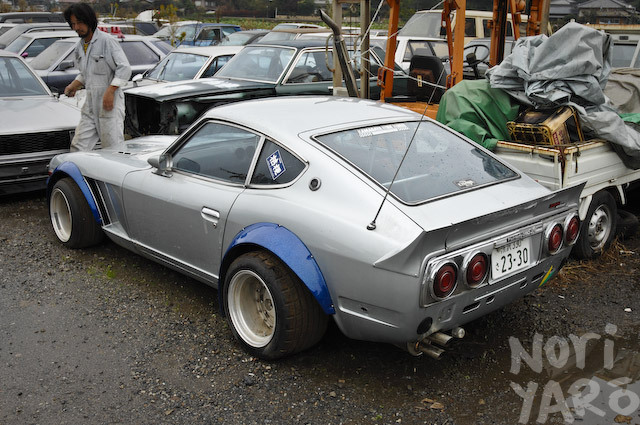 This Fairlady is one of Daisuke’s personal cars (that’s him in the photo). 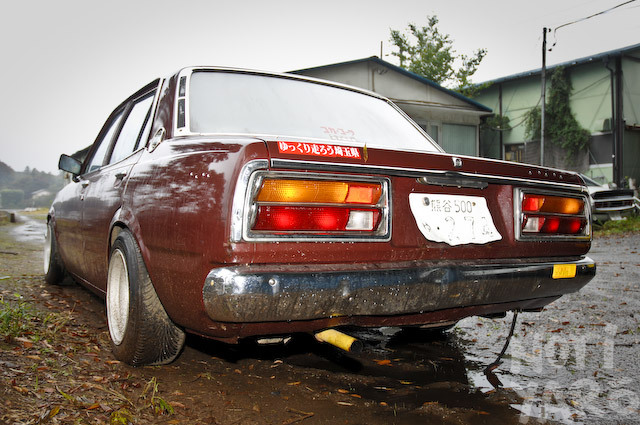 A C210 “Japan” Skyline tail light conversion and S13 Silvia headlight conversion make it kind of confusing for the police when they pull him over. “They think it’s a Corvette” he said. 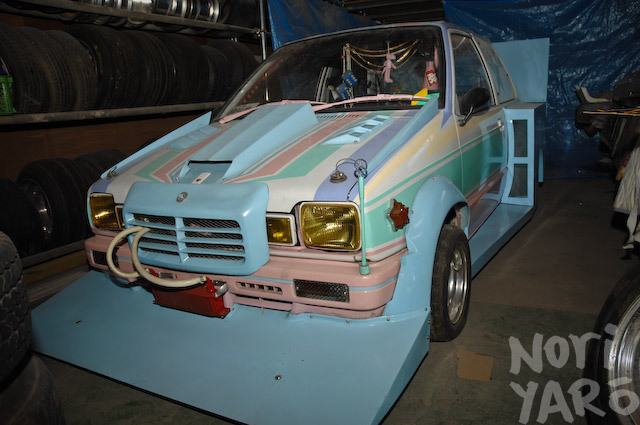 I suppose the Chev bowtie adds to the illusion. 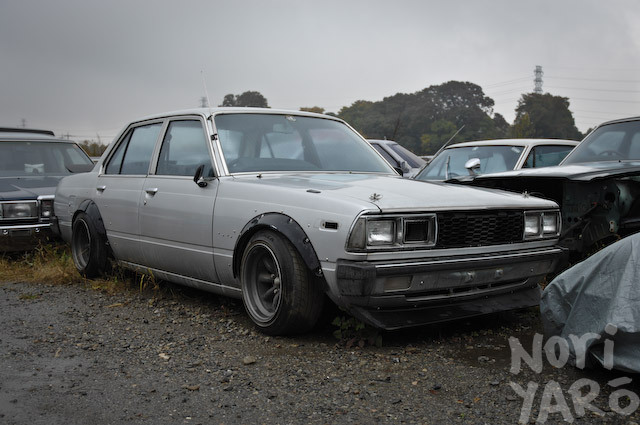 GX71 Chaser with “Japan’s dirtiest 1JZ”, as Daisuke said. 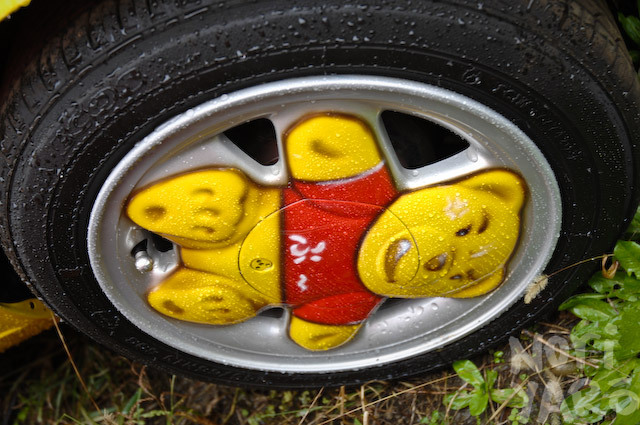 If you’ve ever seen these teddy-bear wheels before, you’d know that airbrushing Pooh on them is a major improvement. Caddie? 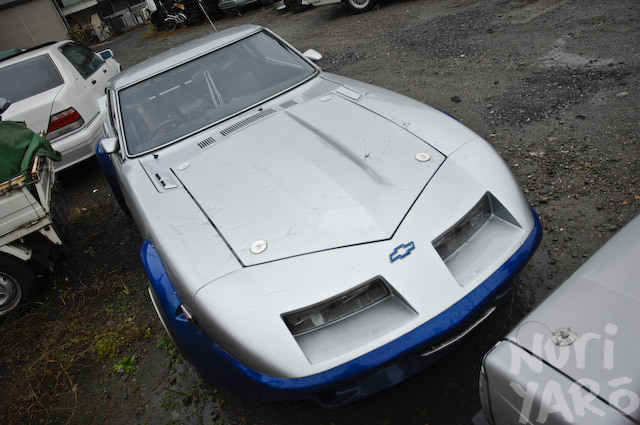 Nope, Nissan President with front-end conversion. 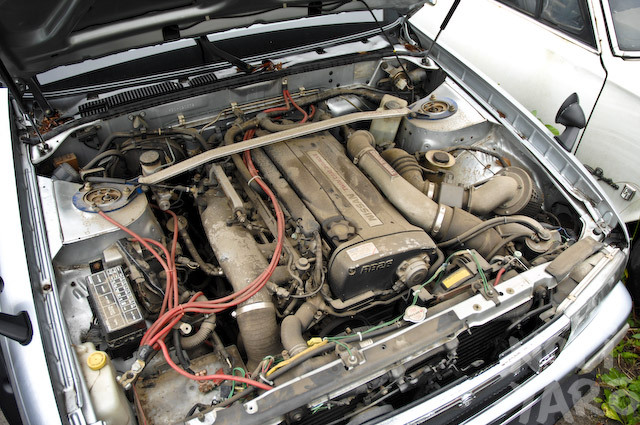 …a genuinely filthy Nismo RB26DETT N1 engine. 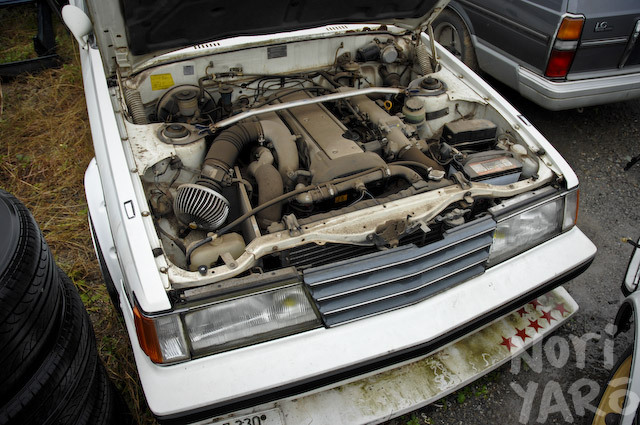 The engine, as well as the seats and gauge cluster came from a write-off wreck, apparently. 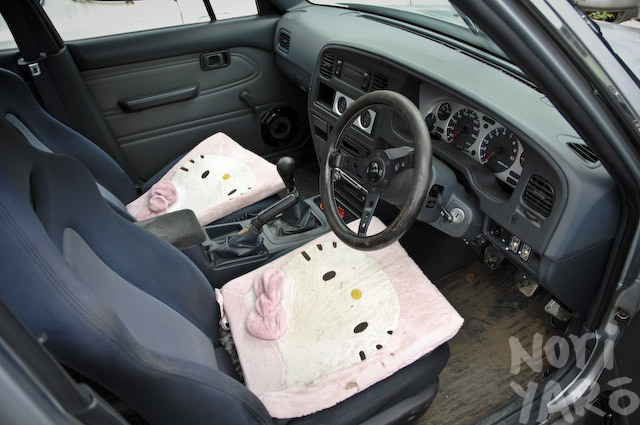 Hello Kitty seat mats were extra. 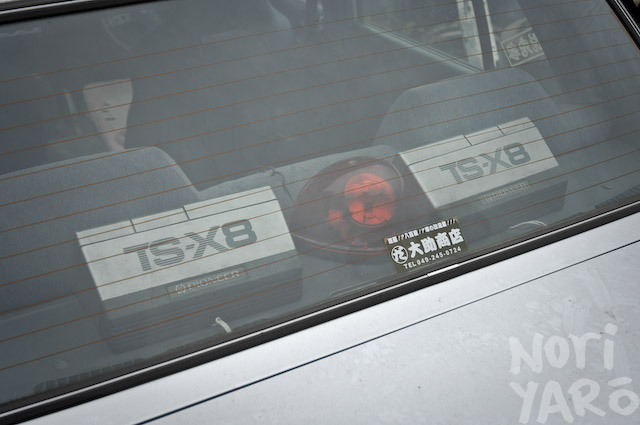 Don’t forget the police light and boxy Pioneer speakers. Almost every zokusha styling cue has been thrown at this Suzuki Alto. 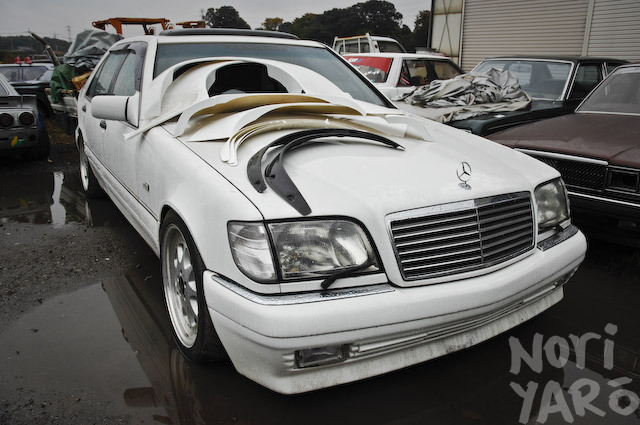 A huge box fender and wing job, slick racing tyres, fake chin-mount oil-cooler, truck indicators, a front grille stolen from a Mercedes Benz and a turbo engine conversion. 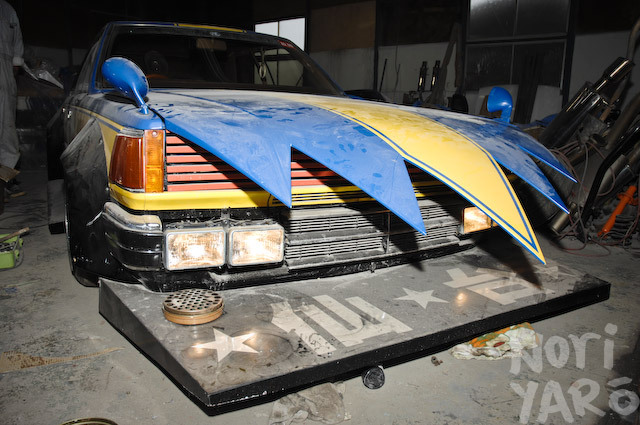 The front headlights have been replaced with something random from another car, with a pair Alto turbo fenders matched up with the naturally-aspirated bonnet. 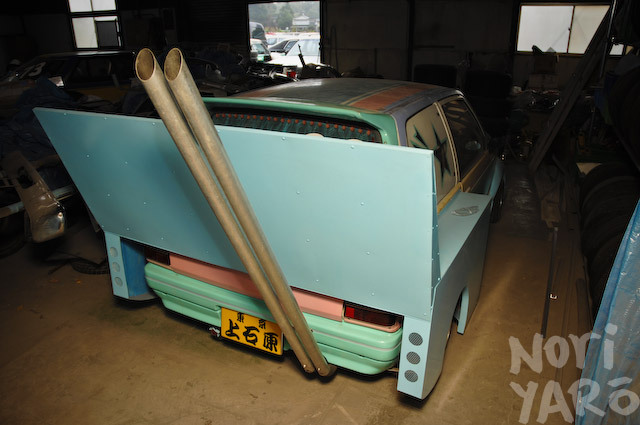 More bamboo-spike exhausts. 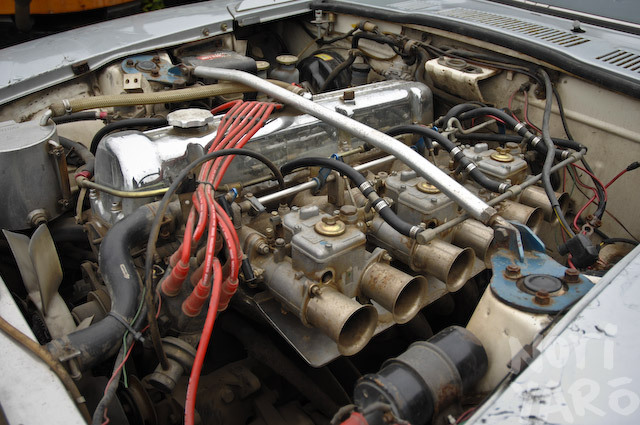 For anyone who is trying to copy this style, please note the diameter of the pipe, the angle of the pipe, and how the pipe is cut at an angle at the exhaust end. 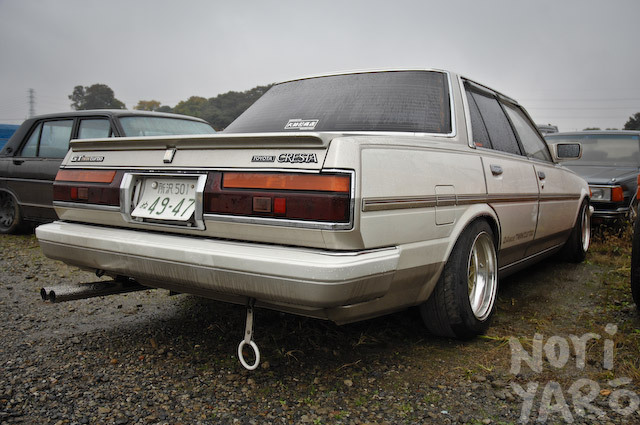 I’ve never seen a zokusha-style exhaust in a country outside of Japan done right yet, and it’s not that hard. 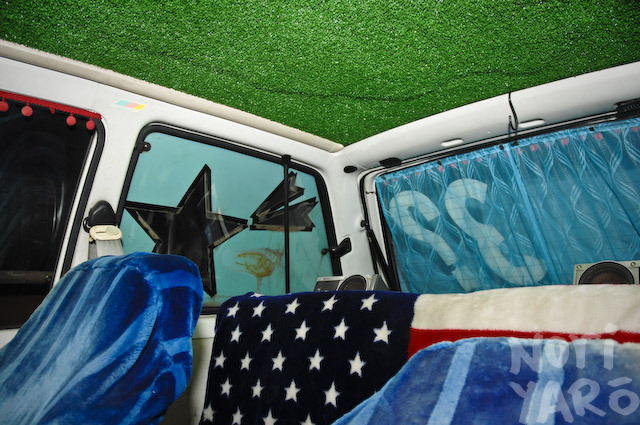 The roof and floor of the interior are trimmed in astroturf. Of course, there’s a little tray for your special ladyfriend’s shoes. 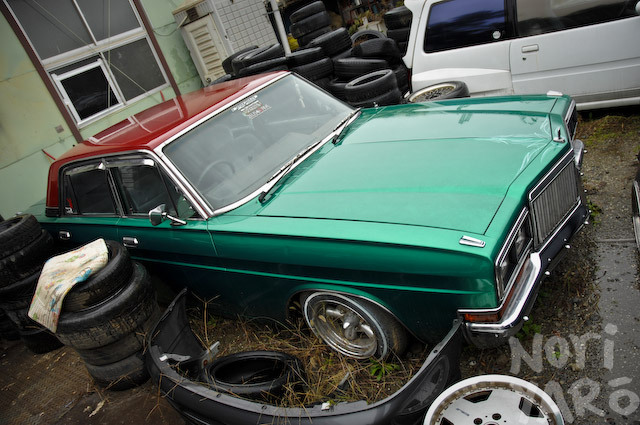 Untended cars in Japan return to nature pretty quickly. 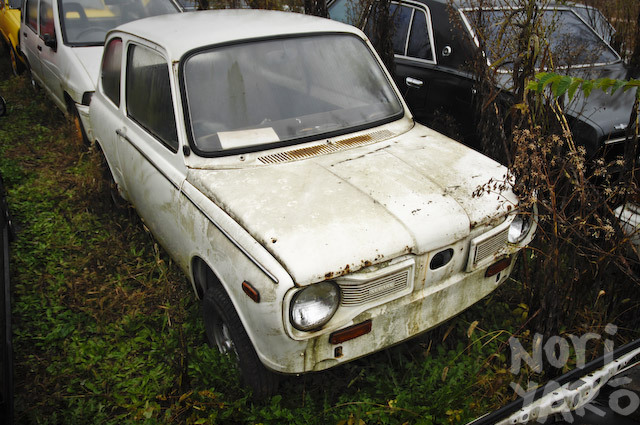 This rare 1972 Subaru R-2 wasn’t as bad as it looked. 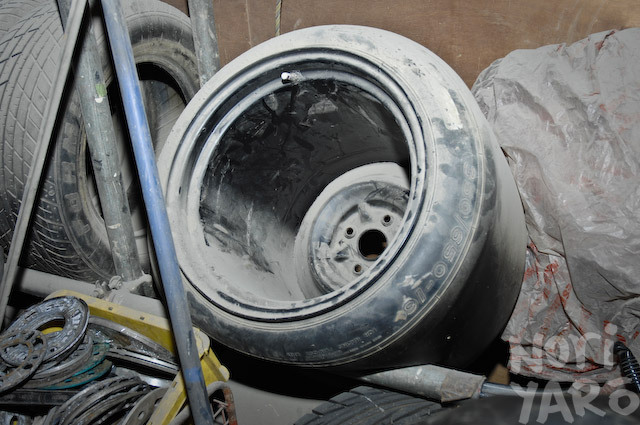 I asked Daisuke to show me his widest, lowest offset wheel. The result did not disappoint. Of course, a random Brabus Merc was just sitting there, minding its own business, covered in fibreglass flares. All of these photos were taken quite a while ago, so I have no idea what Daisuke is up to these days. I’ve completely forgotten how to get to his workshop too, so it’s time to dig through that pile of business cards I have somewhere. See, these are the cars that deserve hangrings. 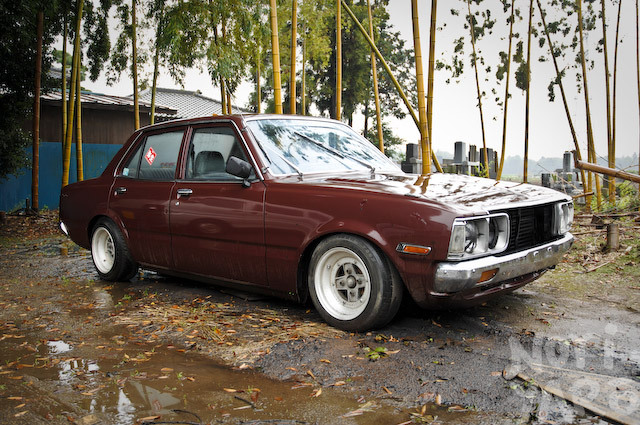 Not your stock ke70 with chopped springs. Last edited by marvis; 3rd February 2009 at 10:37 PM. 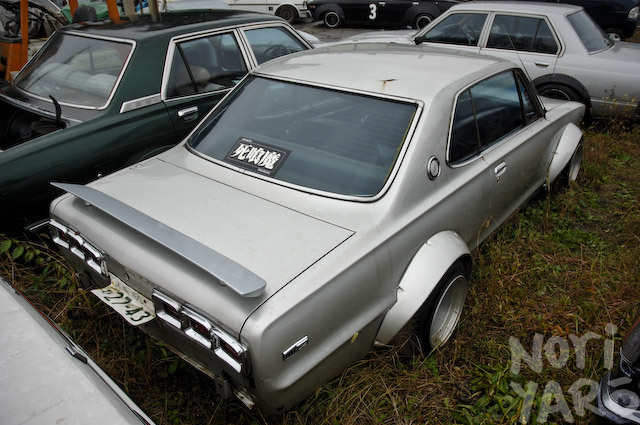 hakosuka look a likes are epic. what can i say, the man has style.